BMU has been made aware of scams appearing again in our area. BMU and the Bryan City Clerk’s Office will never call you for payment information. If you receive a call asking for payment, HANG UP! You can always call 419-633-6020, to check on your payment information if you have any questions. Please share this with others and the elderly family and neighbors that may not have social media. • Never pay over the phone in response to a call, especially when you’re threatened with a service disconnection if you don’t pay immediately. Your utility will never demand payment over the phone. 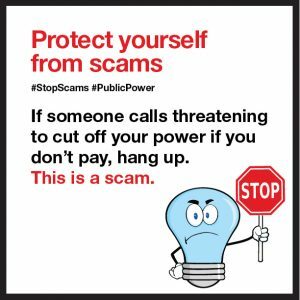 If you’re getting pressured, hang up and call the customer service number on your utility bill — this will ensure you’re speaking to a real utility employee. • Before shutting off your electricity, water, or communications services BMU will send you one or more disconnection notices in the mail and door hangers. We will also give you several bill payment options, typically online, automatic bank draft, mail or in person. • Utilities don’t accept gift cards and they never require customers to buy prepaid debit cards, like Green Dot or MoneyPak, to pay their bill. Instructions to pay by prepaid debit or wire transfer is a red flag. 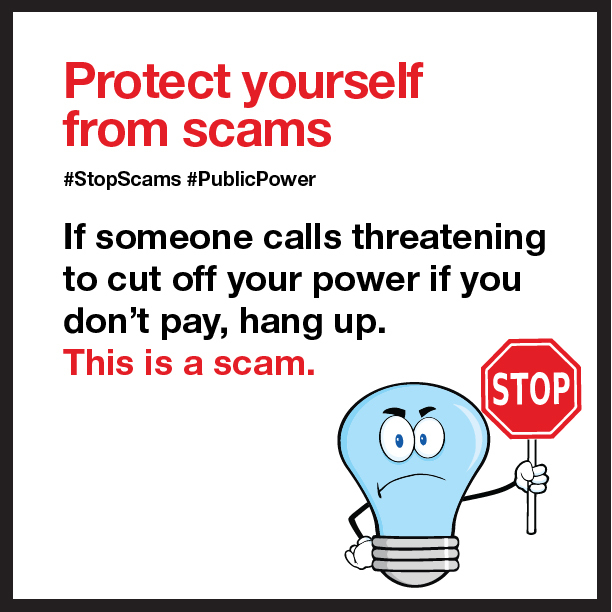 • Don’t trust caller ID, even if it shows the name of your utility company. Scammers know how to “spoof” caller ID to make it read whatever they want. It’s another sneaky part of the scam that fools a lot of people. • Delete any emails from utilities that are not your service provider. • Delete all suspicious emails that demand or require immediate action to verify personal information.